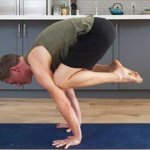 * Is it safe to roll up from Uttanasana (Standing Forward Bend) to standing? *BONUS: Robyn’s favorite mascara brand, which she promises will change your life. 1. Molekule is a new air purification experience — unobtrusive, portable, and 100% effective. Molekule’s PECO technology goes beyond HEPA filtration to not just capture, but completely destroy the full spectrum of indoor air pollutants, including those 1000x smaller than a HEPA filter can trap. 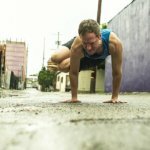 For $75 off your first order, visit MOLEKULE.com and enter code YOGALAND at checkout. 2. 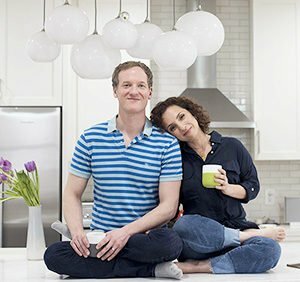 RxBar are protein bars made from 100% whole foods. That means RxBars do not contain artificial flavors, colors, preservatives or fillers. They also do not contain added sugar. They’re also delicious! For 25% off your first order, visit RXBAR.com/yogaland and enter the promo code YOGALAND at checkout. 4. To my women listeners out there – have you tried Lola yet? LOLA is a female-founded company offering organic cotton tampons, pads, and liners. For 40% off your first order, visit mylola.com and enter the code YOGALAND40 when you subscribe. 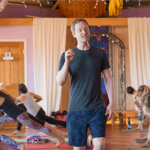 The ability to give clear, concise, and compelling verbal cues for yoga poses is one of the most distinguishing factors of a good yoga teacher. For all the time that we dedicate to doing bigger, harder postures and projecting our prowess across the social media space, most of us could spend a little more time honing our verbal craft. Students want to hear your words. Students want to understand your words. Students want to digest your instructions and learn from them. And, the reality is that being a good verbal communicator is hard. It takes practice. It takes strategy. And, like the subject of this post, it takes a willingness to look at the most common errors that we make and learn from them. Look, we all make mistakes. We all speak redundantly, we all flub our words at times, and we all make up weird words that don’t exist on occasion. I think I said “hamstringossity” the other day. Seriously. With a brave heart, let’s take a look at the most common instructional errors that we all make. Let’s start to clean up these warts and then, in the Part II of this post, we’ll look at The Easiest Ways to Immediately Improve Your Communication. I know it’s obvious, but few things are more uncomfortable for students than being unable to hear their teacher’s instructions. It’s not only annoying, it’s unsettling. There are three things to consider that impede your students’ ability to hear you: First, music that’s played too loud. Second, students are often in Down Dog or forward bends which turns their body away from you. And third, that sometimes you will not be facing your all of your students while you walk around the room and assist. What I call “dropping your voice off a cliff” comes from the paradox of speaking loudly enough that everyone can hear you while trying to keep a calm, quiet, soothing demeanor. What I mean by “dropping your voice off a cliff” is making the last word or two of an instructional sentence too quiet relative to the rest of the sentence. Our voice drops from full volume to low volume because we’re trying to soften the feel of an instruction. So we do something like this, “INHALE, LENGTHEN YOUR TORSO FORWARD INTO ARDHA UTTANASANA; EXHALE STEP BACK INTO downward-facing dog.” We change volume too much and the end of the sentence disappears. This is one of the many things I try to clean up about my delivery in all of my classes. Compare these two phrases: “Step back into Downward-Facing Dog,” and, “Step back into Downward-Facing Dog? ?” Written the first way, it’s a clear command. Written the second way it’s a question. You know exactly what I’m talking about. Right. Right? Phrasing commands as questions is a pretty common vocal inflection that we can all do without. I do it. You do it. We all add filler words—often unconsciously. I was teaching a 200-hr yoga teacher training in Japan and, despite my inability to speak Japanese, I heard the phrase “et to” so many times during peer teaching sessions that I asked the interpreter what it means. She said, “It doesn’t mean anything, it’s similar to saying ‘like’ or ‘uh’ in English.” Filler words and phrases such as “like,” “good,” “yes” and “uh” are omnipresent in the classroom. Notice what your filler words are and, uh, like, practice not using them! When you give an instruction you also need to give your students enough time and space to complete the instruction. When there is a constant stream of instructions your students don’t have time to do what you’re asking them to do. Remember to take a breath or two after each cue and allow your students to integrate the information. It’s generally preferable to use active voice because it’s more direct and conveys more certainty to the listener. Active voice is the subject of a sentence does an action (denoted by a verb). Passive voice is when the subject is acted upon by the verb. Passive voice is wordier and harder for the listener to decipher the meaning of the sentence. I notice that people tend to use passive voice when they uncomfortable being direct. Here’s an example of passive voice: “The action of the iliotibial band is to assist in knee extension and provide some external rotation force.” Notice the phrases, “the action of the …” and “…is to assist.” These are passive, unnecessary phrases that don’t help our students. 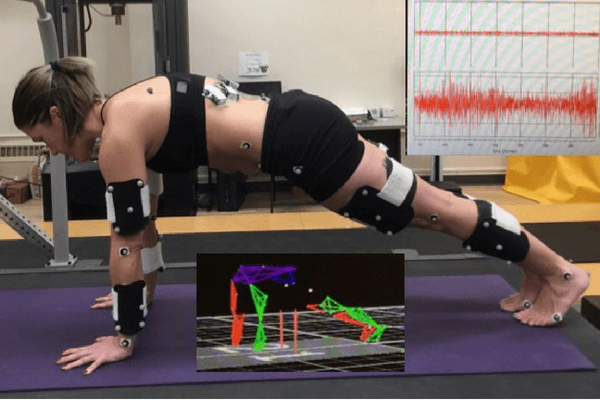 Instead, the sentiment could be expressed like this: “The iliotibial band helps extend and externally rotate the knee.” This phrase is more simple, clear and direct. Again, we all make mistakes. But, we owe it to our yoga students to refine the craft of verbal cueing yoga poses. Becoming aware of your errors is the first step. The second step is to focus on the six components of making your verbal cues more accurate, concise, and digestible. We’ll tackle this in Part II of this series. 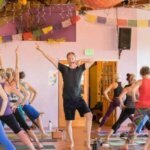 A New Program For Yoga Teachers! Before we get to the post, a quick, shameless plug for my upcoming trainings. 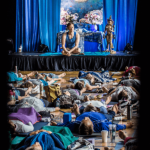 You can join me live at my 500-Hour Yoga Teacher Training in San Francisco, London, or Hong Kong. I also have three separate online teacher trainings, focusing on arm balances & inversions, sequencing, or anatomy. Every day during my teacher trainings I give my students time to practice on their own—at their own pace. The practice period is only 15 to 20 minutes, but it gives everyone a little quiet time to integrate the work we’ve been doing as a group. And, it gives everyone the opportunity to work on whatever it is they need at the time. I’ve watched hundreds of students practice in this environment and one thing that stands out: No one goes fast. No one. I’ve never seen one person choose to move at a pace that outstrips their breath. I’ve never seen someone go so fast that they get winded. 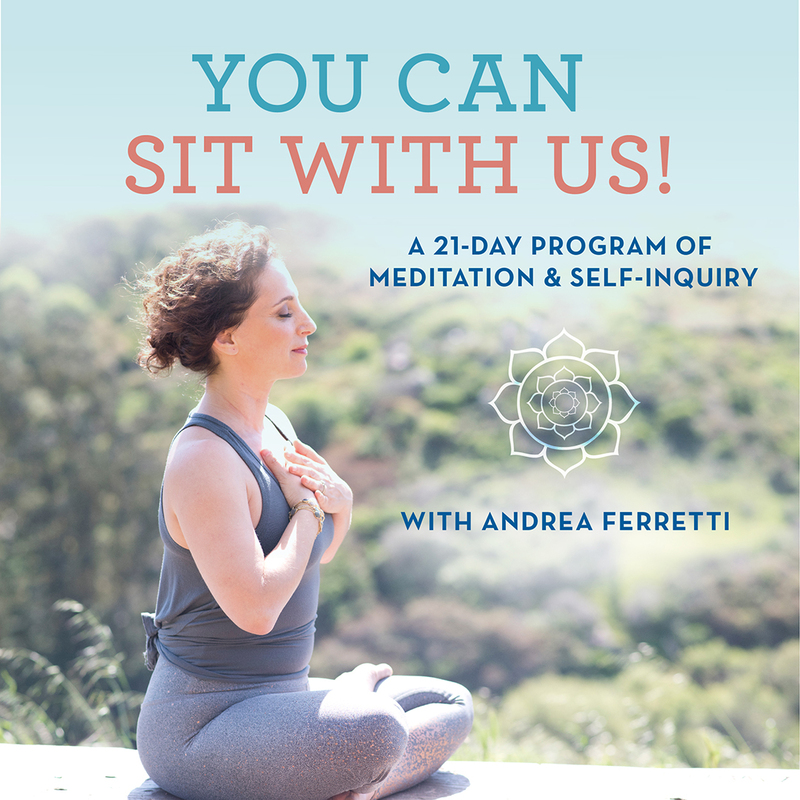 I’ve seen people choose to practice quiet, restorative poses. I’ve seen people choose ridiculously demanding poses. I’ve seen people choose everything in between. But, I’ve never seen someone move so fast that they can’t breathe deeply. 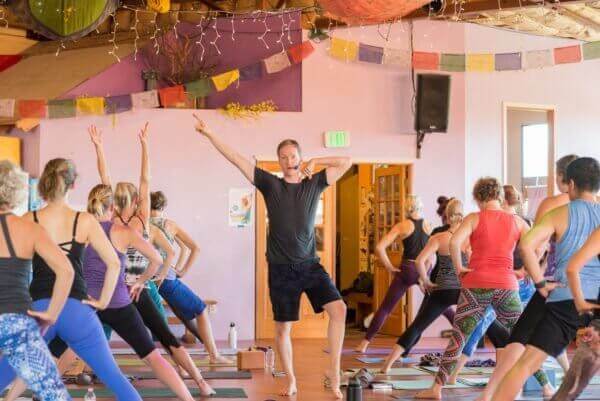 In the modern world where everything has gotten faster and faster—including most styles of contemporary yoga—how do we pace a class so that it’s physically satisfying and mentally engaging without sacrificing important details that keep yoga safe and mindful? How do we make sure that there’s still some yoga in our yoga class? As teachers, how do we trust that we don’t have to make our mark by being teaching the fastest flows in town? These are all important questions and they’re admittedly hard to answer conclusively in a 1,000 words. To be fair, we also have to acknowledge that pacing is somewhat subjective. One student’s “fast” is going to be too slow for another student. One student’s “slow” is going to be too fast for another student. So, like other aspects of teaching, teachers have to let go of the idea that they’re going to strike a perfect pacing balance for everyone. It’s best to think about pacing as a tool to communicate what you are teaching. If you are teaching a mellow hip-opening class, you want the pace to be slow and soothing. On the other hand, if you’re teaching an invigorating sequence of standing poses, you may opt for a strong, steady pace. In both of these scenarios, you have to consider the experience you are aiming to give your students and tailor the flow accordingly. Imagine that you have just arrived in a foreign city and you’ve decided to do a walking tour. But, well, you just want to get so much done on the walking tour that you run as fast as you can from scenic point to scenic point. Kudos to you, you completed the walking tour in record time! (Wow, what an accomplishment!) But, what did you notice about the scenic points? What did you notice about the sights, scents, and sounds? Did you notice any subtlety and detail or did you just get so much done? The whole idea of sprinting through your vacation is, well, ridiculous. 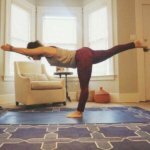 So, why would you sprint through your yoga practice? Is your practice just another thing to get done in order to have a sense of accomplishment? If so, what exactly do you feel you’re accomplishing? In general, the pace of a vinyasa practice should be in direct proportion to a student’s ability to focus on the details that are present in their body, breath, and mind. This means that sprinting through a vinyasa practice to do 400 postures is unnecessary and ineffective because very little is understood in the process. That said, doing six poses in a 90-minute class isn’t the best solution either—at least not in a vinyasa practice. Other practices work this way to great effect, but this isn’t in keeping with the heart of vinyasa yoga. Practice observing your students as they glide from pose to pose and notice if they are moving with awareness and skill. Notice if the pace is helping them focus on their practice. If not, notice if are you lulling them to sleep or accidentally teaching a spinning class (not that there’s anything wrong with spinning). Find the middle ground that captivates your students’ attention and provides them with a strong, satisfactory experience without making them run on fumes. It is helpful to imagine the pace of class as a bell-curve. You start class slowly and gently pick-up the tempo until it has a strong, yet sustainable tempo. Once you have hit the apex of your class, you can begin to slow the pace and settle in. This doesn’t mean that the peak-pose or crescendo of class has to be paced intensely. In fact, you may decide to slow things considerably as you work the most difficult postures in your yoga sequence. The important thing to take away is that pacing yoga transitions should not be abrupt. Instead, students should be taken from a quiet beginning, through a substantial adventure, and brought to a relaxing finish. The pacing along the way should accelerate and decelerate incrementally and in proportion to the intensity that you want to deliver in any given class. As previously stated, yoga class pacing is one of several tools that you have at your disposal to communicate the essence of your teaching. It’s in the same toolkit as sequencing, adjusting, demonstrating, verbalizing, and so on. This means that the pace of your class should not be taken for granted or assumed. Instead, it should be a mindfully implemented instrument of your teaching. As such, your pace should be in-tune with your sequence and the teaching points of your class. Of course, your pacing—like the other elements in your teaching toolkit—is subjective and open to exploration. 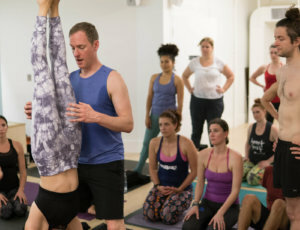 We’ve all had the same gut-wrenching, heart-breaking thought at some point while teaching a class, ‘This is not only the worst class that I’ve taught, this is the absolute worst class that has ever, ever been taught in the history of yoga.’ In fact, the qualification “at some point,” is me being generous. We’ve all (yes, ALL) had this feeling more than a few times. Seriously, it probably wasn’t as bad as you think it was. Teaching yoga is a raw, vulnerable experience and sometimes you beat yourself up about it. People often talk about the importance of being authentic. What gets left out of this discussion is that being authentic means showing who you really are and expressing what you truly care about. Wearing your heart on your sleeve isn’t always easy or pleasant — especially if you feel that you aren’t communicating or engaging well. When this happens, your inner narrator may be telling you that it is much, much worse than it really is. 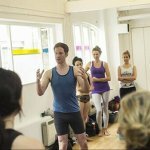 You just taught a truly bad yoga class–the worst class in the history of yoga? OK. It’s time to let it go and move on. This is what you’d tell someone else, right? If class was truly lousy, chalk it up to being human. You’re not a robot and even the most accomplished professionals have off days. If you don’t watch sports, it’s time to start in order to get some perspective. Not every top-notch pitcher throws an excellent game every time. In fact, none of them do. And, thankfully, yoga students are infinitely more kind in the midst of an off night than sports fanatics (especially if you live in Philadelphia). Are you ready for some ego-busting news? Students are not hanging on your every word or vibe. Students are paying attention to you but they’re also having their own experience. They are doing yoga, not just listening to you pontificate. Trust that even if you didn’t deliver your most soul-stirring class, your students had the opportunity to breathe, move their bodies and have their own experience. Even more, they probably feel better after class than they did before class. -You’re human and you’re teaching a live class. This means you’re going to trip over your words, feel energetically flat, forget the second side of a sequence, and mismanage your time on occasion. -You have the opportunity to learn and grow from your mistakes. Be as objective as possible about what didn’t work in your class and learn from it. As teachers we’re committed to growing and learning — which means that we’re not already perfect. -Breathe in the challenges of teaching your class and your flustered emotions; then breathe them out and let them go. -Be comforted by the fact that all teachers go through this, including the most popular and most well-respected teachers. In fact, my advice is to get used to moments like this because they never stop — you just get better at contextualizing them and letting them go.